You can hook several parameters to the same function curve. For example, if you have an aircraft performing loops between clouds, you may want the camera to follow the aircraft's motion path. 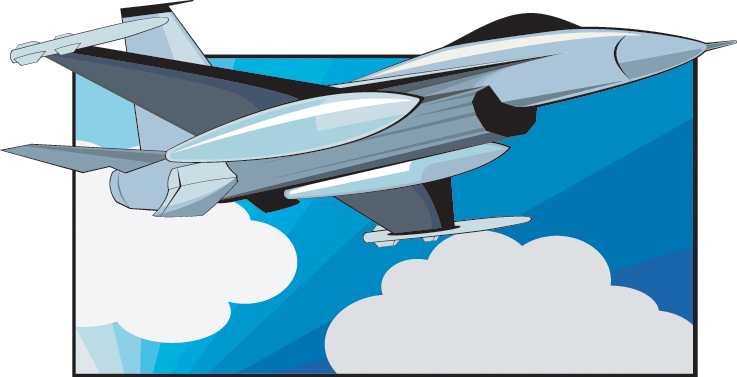 If you attach the camera to the aircraft's layer, the camera will also loop, but this may produce undesirable results and even induce a feeling of motion sickness as you watch the final animation. Instead, what you can do is to share the X, Y and Z aircraft's position with the camera's peg layer, but ignore the angle. scale and skew. By default all the function curves you create are private. This means that the function curves can only be used and modified using their original parameter. If you want another layer or parameter to use the same function curve, you must make the function public. 1. In the Timeline view, select the function layer to share. 2. Right-click on the selection and select Share Functions. The function now becomes public to the other layers and parameters and can be shared. 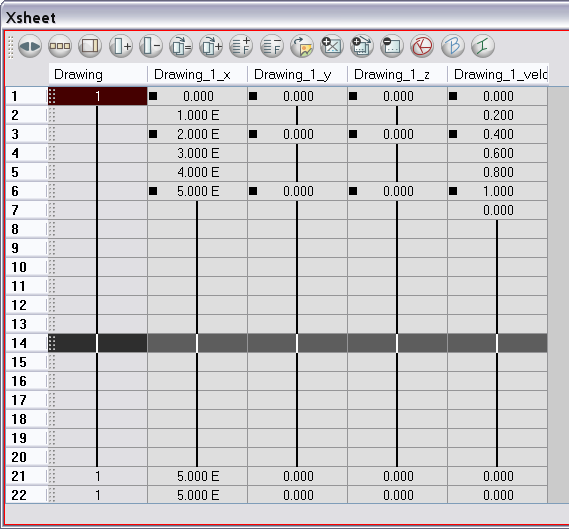 Public functions are visible in the main section of the Xsheet view. 3. In the Timeline view, open the Layer Properties editor of the layer with the parameters you want to link to the public function. 4. To open the Layer Properties editor, in the Timeline view, double-click on the layer containing the function to share or click once to display it in the Layer Properties view. 5. Select the Transformation tab. 6. Click the Function Arrow button beside the function you want to link to the function column. 7. In the drop-down menu, select the function you just turned public from either, the 3D Path, Bezier, Ease, Velobased, Expression, 3D Path, Connected, Unconnected, All menu, and hook it to your parameter. The two parameters are now both linked to the same function curve and should follow the same path. If you modify the curve, both parameters will update. 1. To open the Layer Properties editor, in the Timeline view, double-click on the layer containing the function to share or click once to display it in the Layer Properties view. 2. Go to the Transformation tab. 3. Click on the Function Arrow button beside the function to share. 4. In the drop-down menu, select the Local option. 5. Click on the Function Arrow button beside the Function field and choose an existing function from the drop-down list. 6. In the same drop-down menu, where you choose the Local option, select the function you just turned public from either the 3D Path, Bezier, Ease, Velobased, Expression, 3D Path, Connected, Unconnected, All menu and hook it to your parameter. 7. In the Timeline view, open the Layer Properties editor of the other layer you want to link its parameter to the public function. 8. In the Layer Properties editor or view, hook the parameter to the public function the same way you did for the first layer.